As seen in Better Homes & Gardens. Click here to read the article. What is unique about MAXI/GUARD® Oral Cleansing Wipes? MAXI/GUARD® Oral Wipes are both an effective pet oral product and applicator all in one. Cleansing the oral cavity of pets is much faster and easier since the wipes are infused with our unique zinc formulation. This taste free compound neutralizes offensive mouth odors, helps reduce the deposition of plaque and aids in gingival inflammation. The wipes are textured to assist in the mechanical removal of plaque, but not so rough to cause damage to the gum tissue. MAXI/GUARD® Oral Cleansing Wipes increase owner compliance and pet acceptance. What type of oral cases should I use MAXI/GUARD® Oral Cleansing Wipes? MAXI/GUARD® Oral Cleansing Wipes are ideal for controlling halitosis and reducing the deposition of plaque on pets that may not readily accept a toothbrush or for pet owners that have struggled with consistent application of an oral care product. 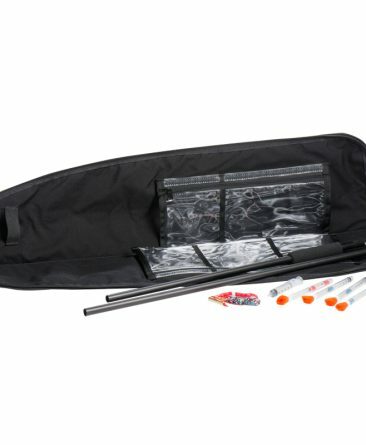 It is perfect for maintaining oral health and extending the time between professional dental cleanings. What type of oral cases should a different product be considered? MAXI/GUARD® Oral Cleansing Wipes are great for maintaining the mouth. 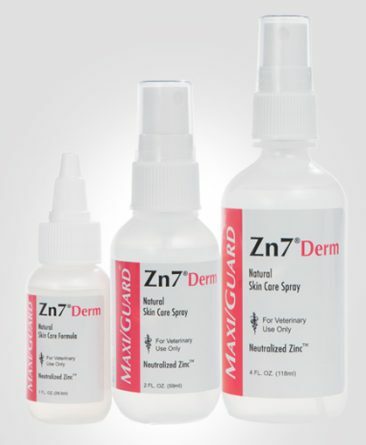 If there are pre-existing conditions such as advanced periodontal cases, pets with stomatitis, after extractions and post-surgery, MAXI/GUARD® Oral Cleansing Gel is recommended. 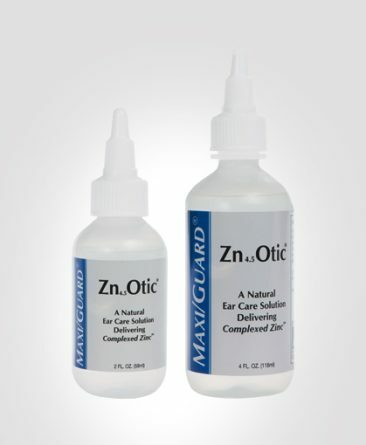 This product contains our unique zinc ascorbate compound which assists in the resolution of these most difficult cases. How do I use MAXI/GUARD® Oral Cleansing Wipes? Simply remove one oral wipe from the container and wrap around your index finger. Gently wipe the teeth and gums on both sides of the pet’s mouth and dispose of the wipe properly. Be sure to create a positive experience by praising the pet after application. 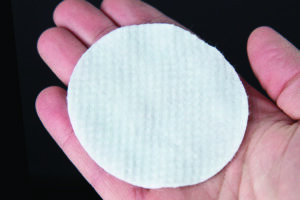 More than one wipe may be used for the first few applications or for larger pets. Use daily for best results. How are MAXI/GUARD® Oral Cleansing Wipes packaged and how should they be stored? MAXI/GUARD® Oral Cleansing Wipes are packaged with 100 wipes per container, meaning you have up to 100 days of effective, safe and easy home oral care with each purchase. It is recommended to store the product upside down for a perfectly moist wipe for each application. Storage under normal room temperature is preferred. 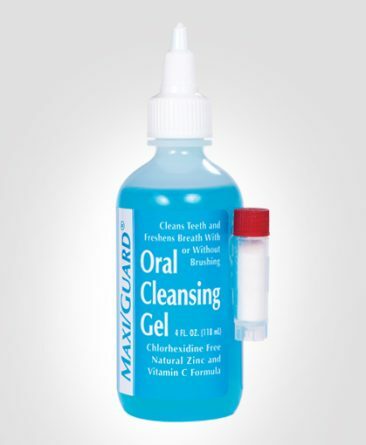 Are there any in-clinic uses for MAXI/GUARD® Oral Cleansing Wipes? Yes. MAXI/GUARD® Oral Cleansing Wipes can be used as a great educational aid to show pet owners the importance of good home oral care. Simply use one wipe to clean the mouth of a client’s pet and show that client the wipe after application. 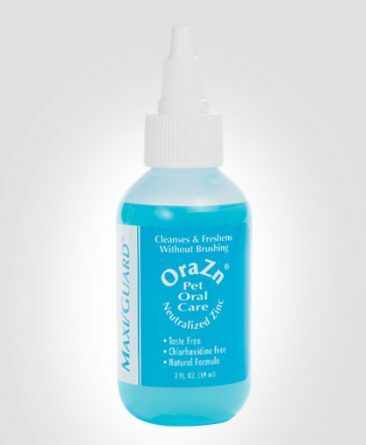 The client will be amazed at the amount of oral debris that was present in their pet’s mouth. This makes it much easier to promote pet dental care and daily use of MAXI/GUARD® Oral Cleansing Wipes. 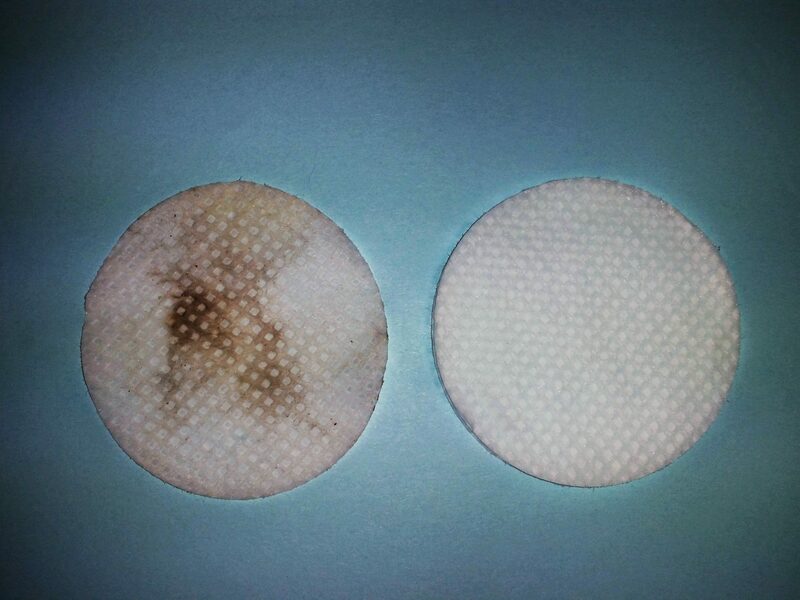 The wipe on the left shows the actual five day buildup of plaque and oral debris removed from a dog’s teeth using MAXI/GUARD Oral Cleansing Wipes. The wipe on the right is unused and shown for comparison. In veterinary clinics MAXI/GUARD Oral Cleansing Wipes may be dispensed for a pet’s home use prior to a prophy and/or sent home for use post prophy. 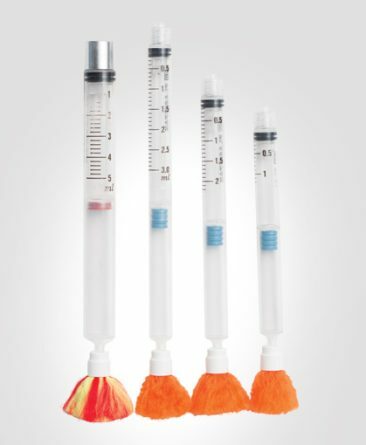 “Our clients have good intentions when it comes to regular teeth maintenance but brushing is just plain difficult for most clients and pets alike. With the Maxi/Guard Oral Cleansing Wipes, we find most clients are willing to perform daily cleansing of the teeth with the wipes because they are easy to use, have no taste or odor and are gentle on their pets, dogs and cats alike. We keep a container in each exam room and demonstrate how easy it is to use the wipes and stress the importance of oral care. We have much better compliance with the Maxi/Guard Oral Cleansing Wipes than we ever had with teeth brushing. I would highly recommend implementing a daily teeth maintenance program with Maxi/Guard Oral Cleansing Wipes.